Inch Fraction need help? 00" 1/8" 1/4" 3/8" 1/2" 5/8" 3/4" 7/8"
Enjoy the warmth and beauty of exterior wood shutters. Our wood shutters are hand crafted from the most popular wood species and can be clear coated, stained, or painted. These shutters can also be mounted with common fasteners for a fixed installation, or you can order functional hardware to allow your shutters to open and close. 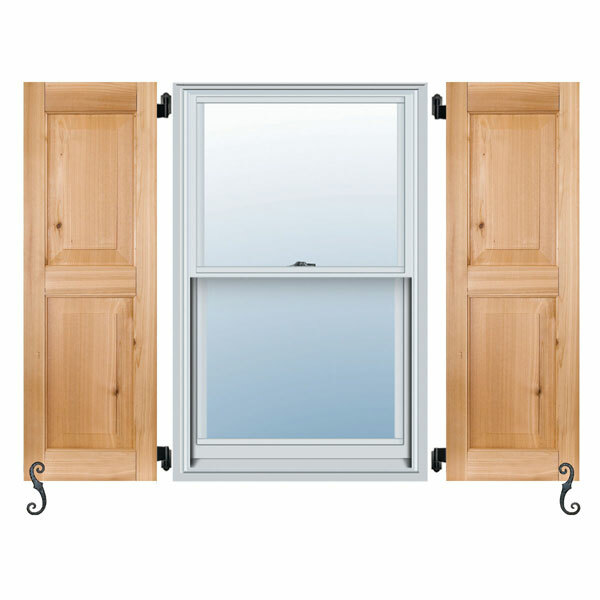 If authenticity is important to you, as well as a low cost solution, these wood shutters are a perfect fit.